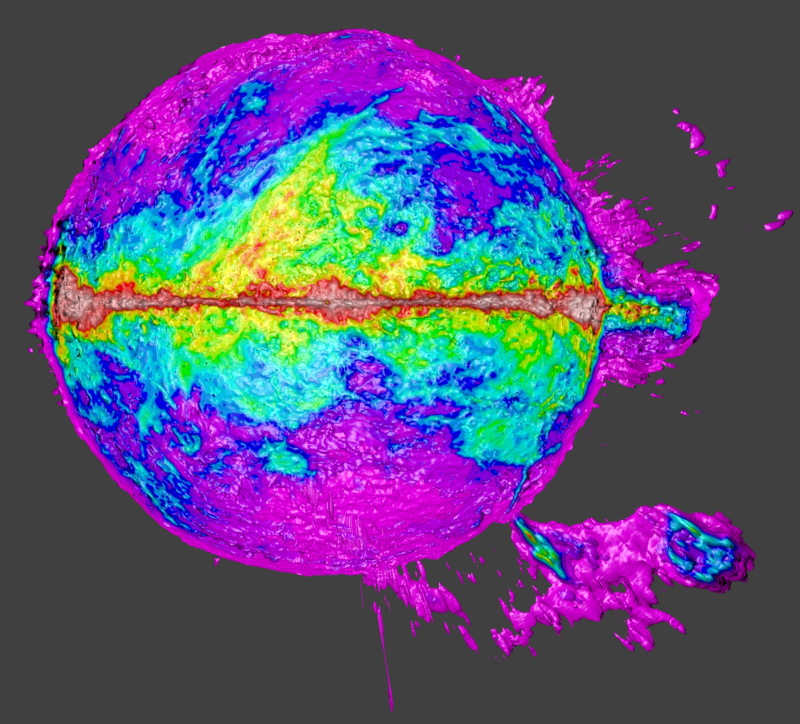 This shows the full 3-dimensional velocity map hemisphere for the atomic hydrogen in the direction of the galactic centre (inner galaxy). It has been dissected to reveal warmer hydrogen gas within the colder hydrogen shell. The colour ranges from magenta (1 °K) through to blue, green and finally pale red (130 °K). Local large hydrogen clouds from the Rift complex of dark clouds (especially the Aquila rift) are visible above the galactic plane. The image also shows a huge atomic hydrogen cloud that I believe surrounds the small and large Magellanic clouds, satellite galaxies of our own Milky Way.